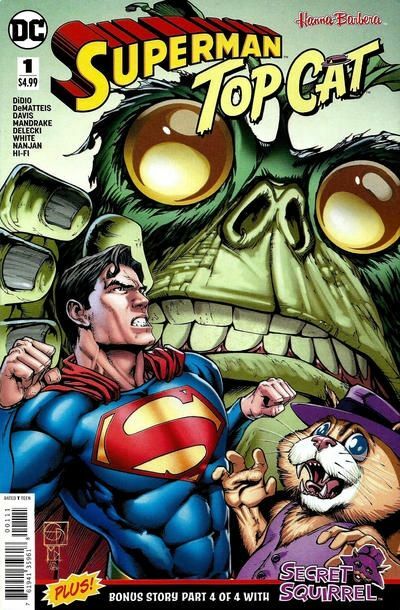 It's Superman versus super food with Top Cat caught in the middle. While searching for his missing friend Bennie, TC uncovers a dietary danger that threatens the healthier portions of mankind, and it's up to the Man of Steel to stop the probiotic menace of Kalien! In the salad bar, no one can hear you scream. Plus, part four of a Secret Squirrel backup story written by J.M. DeMatteis.